Box office: Christmas weekend was desultory. But Monday, the day after, was a win win for nearly every film in release except for “Extemely Loud and Incredibly Close.” All other films were way up on Monday over Sunday, with “Mission Impossible 4–Ghost Protocol” increasing its audience 23% over the previous day. “MI4” has almost $77 million banked after 11 days. And folks Steven Spielberg‘s “War Horse” ponyed up $7.5 million for the second day in a row, give the film $15 million in two days. “War Horse” has now established itself on the inside track. 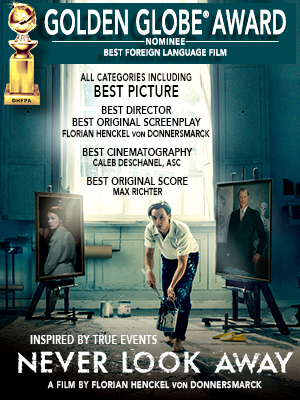 Meanwhile, Oscar buzzed “The Artist” directed by Michel Hazanavicius had a great day in its limited release on Monday. with a 25% increase over Sunday. “The Artist” is going to be an interesting release, because once people sit down and see it, they love it. And movies for kids went crazy on Monday, with both “The Adventures of Tin” and “The Muppets Movie” almost doubling their Sunday figures. I still think that the Oscar race is shaping up between “The Artist” and “War Horse.” They also have the best soundtracks.